Registrations are open for this year’s Computation and Algorithmic Thinking (CAT) competition which will take place on 27 March. The CAT is a fast growing, non-programming competition that is an ideal way for students to engage in problem-solving focused on logic, following rules, analysis and algorithmic thinking. The competition is an hour long and students do not need any programming or coding experience. For more information, tools for the classroom, practice problems, and to register, go to www.amt.edu.au/informatics/cat. The new and improved reSolve website (www.resolve.edu.au) has been released. It is now easier to find the great resources being developed by the project. Unfortunately, due to a technical issue, any current users will need to register again before downloading the resources – the reSolve team sincerely apologises for the inconvenience. The latest reSolve newsletter is also available at www.science.org.au/news-and-events/newsletters/resolve/february-2018. Criteria for the Prime Minister's Prizes for Science in 2018 have been expanded to include mathematics and technology teachers. Nominations are now open. Go to www.business.gov.au/assistance/inspiring-australia-science-engagement/prime-ministers-prizes-for-science. Registration is now open for the 2018 national conference of the Australian and Torres Strait Islander Mathematics Alliance (ATSIMA). The conference will be held 10–13 July at La Trobe University, Melbourne. For more information go to https://atsimanational.ning.com/conf2018. 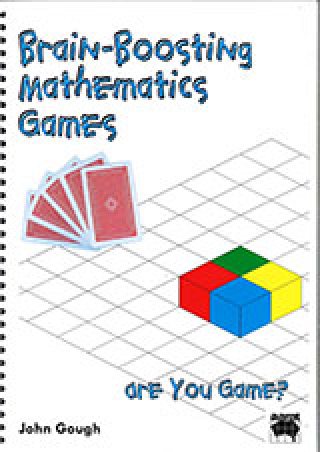 [featured resource] Brain-Boosting Mathematics Games: Are You Game? Games are enjoyable, and research shows that learning to play games can boost learning. Many games use mathematical processes and strategies; this book outlines the context for using mathematics games in classrooms to promote active mathematics learning, curiosity and engaged thinking. There are suggestions for suitable commercially available games and explanations of the rules for card games, dominoes, alphabet games, dice games, drawing games and others. Ways of making a new game, or modifying an existing game are explored, and there are scores of ideas for using games to support mathematical concepts while having fun. This book is the result of approximately 15 years of thinking, research, and collective discussion about the role of algebra in school mathematics. 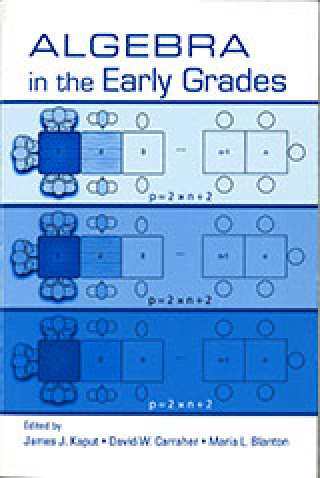 With a goal of contributing to a comprehensive, research-based 'early algebra story', it tackles big questions from a variety of perspectives that address different aspects of the story.